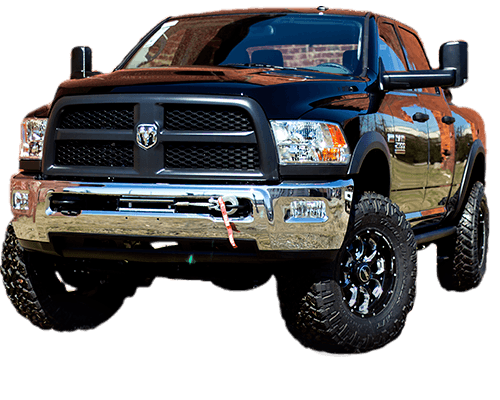 Carolina Custom at Lake Norman Chrysler Dodge Jeep RAM is a specialized team of Jeep and vehicle enthusiasts designing and building exceptional customizations. Our brand-new state-of-the-art North Carolina facility is equipped to expertly handle every type of major vehicle customization under one roof. There’s no limit to what we can achieve, and we have upgrade options at every price point, starting at $100. We aspire to build the go-to conversion and modification shop for the Southeast United States by delivering mind-blowing custom mods with an unparalleled customer experience. We’ve created the ultimate vehicle customization shop. It’s a new concept that brings the full array of modification capabilities under one roof. We combine three key ingredients to give our customers more than any other shop. The first is unfettered access to any auto part available – factory or aftermarket. The second is housing all the professional-grade equipment under one roof to perform those customizations. The third is investment in our team so that they have the training and skill to meet stringent quality requirements while keeping up with the pace of the industry. The product of all of this is that we’re able to give you all the options you could possibly want. Auto builders do a great job of packing potential into their vehicles. Then we come in. The default options are average. Boring. Default. Carolina Custom is anything but a factory. We don’t churn out modifications. Our entire team collaborates on every aspect of your vehicle to deliver to your unique specifications. It’s a hands-on process for everyone involved, and the result is an unparalleled customer experience that ends with a flawless one-of-a-kind machine. At Carolina Custom, amazing vehicles are just the beginning. We’re building trust back into the automotive industry. We push the bar every single day to find better products, bigger applications, and greater excitement. At the end of the day, the most important thing we build is the relationship. We want to be your go-to team in the Southeast United States for Jeep customizations and vehicle conversions. Do you love your Wrangler? 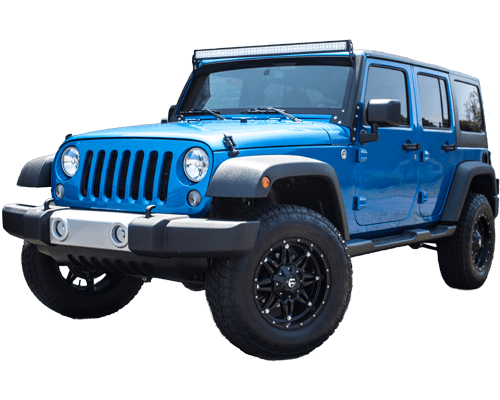 The Jeep Wrangler is the world’s most popular 4-wheel vehicle for modification. It’s the one vehicle that accounts for more of our work than all other models combined. The Wrangler has inspired enthusiasts for decades, and it’s likely inspired you. That’s why we’ve created the ultimate service department for Jeep Enthusiasts. It’s true – we mod a ton of Jeep Wranglers, and Jeep lovers around the country seek us out. That does not mean we only work on Jeep vehicles. We carry an incredible volume of components for every vehicle you can think of. If you want something and can’t find it, we’ll get it – no matter what car or truck you’re driving. Check out our Facebook page to see real-life examples of the car and truck creations we’ve made possible for our customers. You should be. The world is your proverbial oyster, and we’re here to help you shuck it. Get in on the action by visiting our North Carolina showroom or giving us a call at 704.655.4444. For email, submit our contact form.